Get into the zone with a workout designed with the beginner in mind. Another release from the popular Yoga Zone series, this one takes viewers through the basic positions, like the cobra, the triangle, and the cat. Two 20-minute sessions make it easier to learn the basics and prevent discouragement. Another nice technique is the outdoors setting and the teacher-pupil dynamic employed by the instructors; one person does the routine while the other gives tips and techniques on proper form. The yoga-newbie will also learn the importance of breath, the most fundamental aspect of this eternal and eternally fresh approach to fitness and relaxation. Yoga has long been known for improving flexibility and stamina, but this special program goes further to show how yoga can be used to shape and sculpt your body, including such problem areas as the stomach, buns, and more. Yoga Zone’s Gentle Yoga is the perfect start for those new to yoga, providing the gentle and healing benefits of yoga. These two encouraging and easy-to-follow yoga sessions are slowly paced, emphasizing simple and effective postures. These are stretches that anyone at any fitness level can do. Gentle Yoga allows you to unlock the stress that can inhibit the body’s ability to heal, releasing tension and bringing your body and mind to a warm place. Led by Yoga Zone senior teacher, Charles Matkin, on the beautiful island of Jamaica. These two 20-minute yoga programs will leave you feeling relaxed and rejuvenated, while creating a wider range of flexibility. Yoga becomes the best part of your day with Yoga Zone’s proven formula of result-oriented programs with age-defying gentle exercises. Consult your physician before your begin this, or any exercise program. As more and more people search for inner peace amid increasingly hectic lives, the practice of yoga continues to gain popularity. 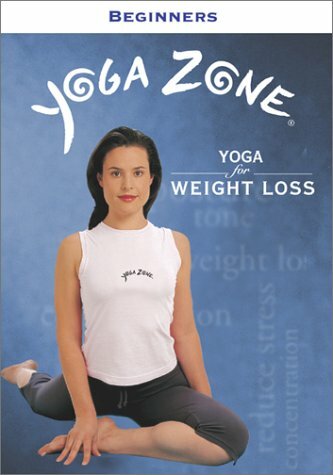 Now, getting started is easier than ever with the Yoga Zone: For Beginners Only 2-DVD Set. Specially designed by yoga master Alan Finger, these two introductory programs (Introduction to Yoga and Meditation: Two Complete Sessions) will initiate you into the world of yoga and all its benefits. Alan along with Yoga Zone senior instructor Lisa Bennett Matkin will gently guide you through simple, easy-to-understand yoga routines that combine physical activity with inner stillness for a unique all-encompassing mind/body experience. Yoga Zone ::Total Body ConditioningThis DVD for beginners has two easy&ndsh;to&ndsh;follow 20 minute sessions that will leave you feeling refreshed and invigorated. Total Body Conditioning features exercises which improve posture and build core strength plus stress&ndsh;releasing and relaxation programs. Suitable for every fitness level. Filmed outdoors in Jamaica. Features 9 separate segments,allowing you to create your own personalized routines,plus an audio&ndsh;only option. 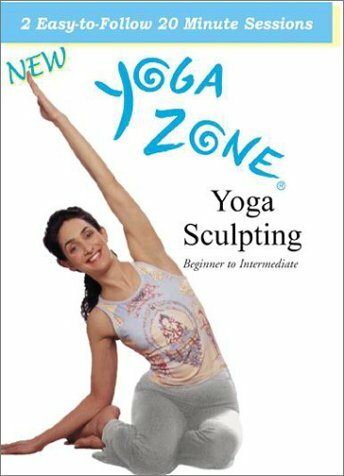 Compare prices on Yoga Zone Beginners at ShoppinGent.com – use promo codes and coupons for best offers and deals. Start smart buying with ShoppinGent.com right now and choose your golden price on every purchase.